…that thousands of Scots traded and often settled in 16th and 17th-century Poland? Before the development of the British Empire emigration from Scotland followed the Baltic trade. The Scots in Poland were mainly merchants based in towns like Danzig (Gdansk), Torun and Krakow, employing young Scots as pedlars to sell wares in Polish towns and villages. 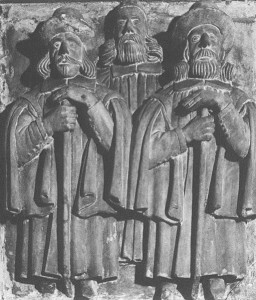 They roamed the Polish countryside, usually on foot, carrying goods in boxes on their chests and backs to sell at markets. Their merchandise included “needles, knives, brooches and other trifles”, as well as cloths, woollen goods and linen kerchiefs which made popular head coverings. …that in the Kashubian language spoken in Pomorze (Pomerania) the word Szot (Scot) was the traditional term used to mean a commercial traveller? …that there is a village in north-east Poland named ‘Scotland’ (Szkocja), and that the city of Gdansk has districts called Nowe Szkoty (New Scots) and Stare Szkoty (Old Scots)? …that Robert Gordon’s College in Aberdeen is named after the Scottish merchant in Danzig [Gdansk] who founded it from the profits he made in the Baltic trade? And that in 1700 funds to restore Aberdeen’s Marischal College came from a collection held by the Scottish merchants in that city? …that some Polish surnames are polonised versions of Scottish surnames? Poland has seen its share of Czochrans, Djiaksens, Forseits, Fraiters (Frasers), Kietzs (Keiths), Losons, Ramzes and Szynklers, as well as Moreys, Machayskis, Machlajds and Makolroys. Aleksander Czamer, four times mayor of Warsaw between 1691 and 1703, was born Alexander Chalmers in Dyce near Aberdeen. He was buried in St. John’s Cathedral, Warsaw. His grand tomb was destroyed along with the church (since rebuilt) in the Second World War. …that Lech Wałęsa, leader of the Polish ‘Solidarity’ trade union, who fought for freedom against Communist Party rule in the 1980s and later became Polish President (1990-95), may have Scottish ancestry? Some Poles will tell you he’s a Wallace! …that George Guthrie, a Scottish resident in Poland, organised at his own expense a regiment of Hussars which took part in the famous Polish victory over the Turks at Vienna in 1683? 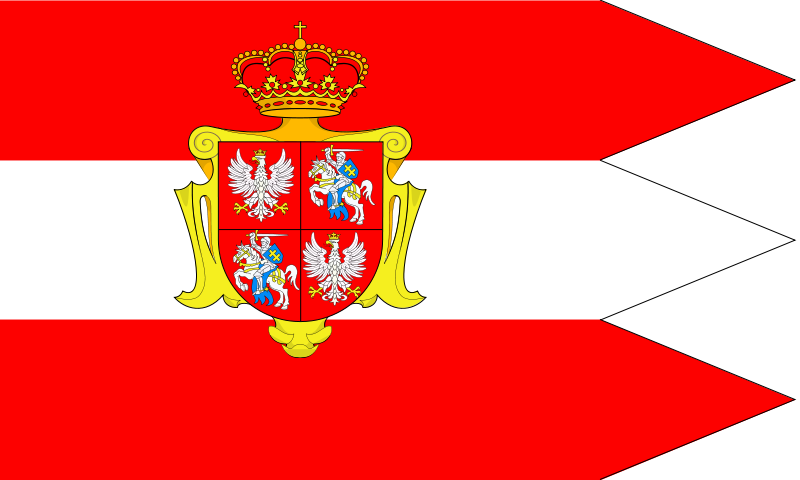 He was rewarded by being made a Polish noble by King John III Sobieski. …that the mother of Charles Edward Stuart, “Bonnie Prince Charlie”, was Maria Clementina Sobieska (1702-1735), grand-daughter of the Polish king John III Sobieski? 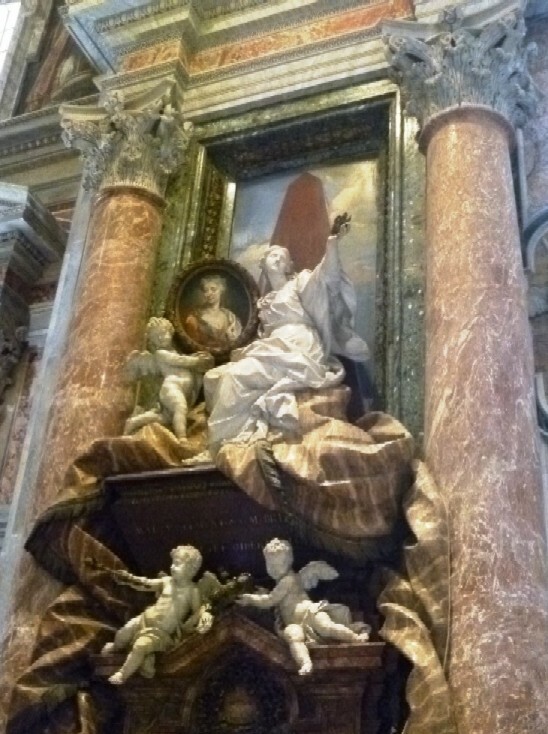 She is one of only three women buried in the Basilica of St. Peter in Rome. …that after studying at Edinburgh University Jędrzej Śniadecki became the first professor of medicine and chemistry at the University of Vilna in 1803? Among his many achievements was the creation of modern Polish terminology in the field of chemistry. …that the National Library of Scotland has a collection of about 200 rare 16th and 17th century books on Poland, donated by the Polish aristocrat Constantine Zamoyski in 1821? The collection was expanded by a further donation made by another Polish aristocrat Gothard Sobański in 1840. …that after spending several months in Edinburgh Karol Sienkiewicz (translator of the revolutionary anthem La Varsovienne [Warszawianka], celebrating the Polish Uprising of 1830-1), translated Sir Walter Scott’s ‘Lady of the Lake’ into Polish? …that the Polish composer Frederic Chopin spent several weeks at Calder House, West Lothian as the guest of Lord Torphichen during his visit to Scotland in 1848? He gave his last but one concert at the Hopetoun Rooms in Edinburgh’s Queen Street on 4 October. He died a year later at the age of 39. His visit is commemorated by a centenary plaque which can be seen on the Edinburgh house of his host, Polish émigré doctor Dr. Adam Łyszczyński, at 10 Warriston Crescent. After the Second World War an autograph of Chopin’s song, ‘The Spring’, was discovered in the library at Kórnik near Poznań, bearing the annotation ‘Warriston Crescent 1848’. 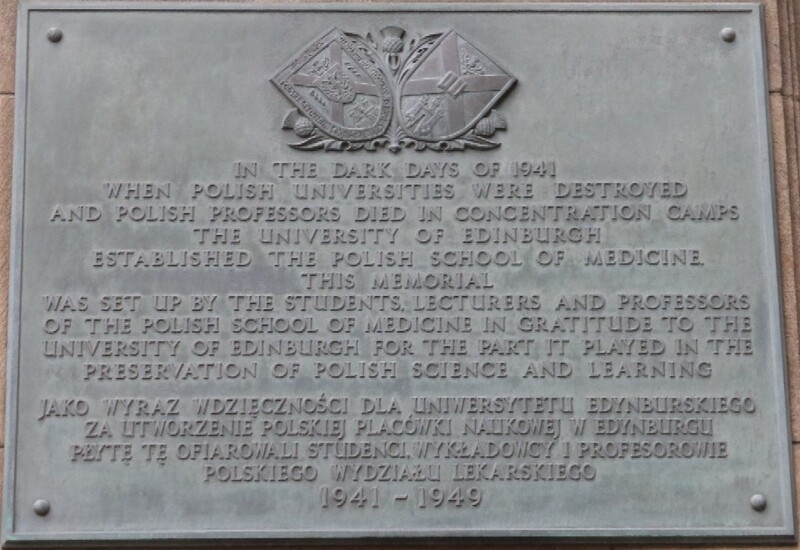 …that a Polish Medical School was established at Edinburgh University in February 1941 to train soldiers to become doctors in a reconstructed post-war Poland? 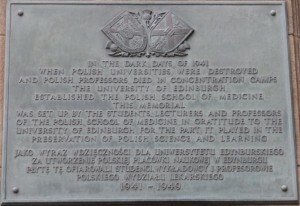 The School was the only Polish institution for higher learning in existence anywhere during the war. It closed in 1949, having trained 337 students. 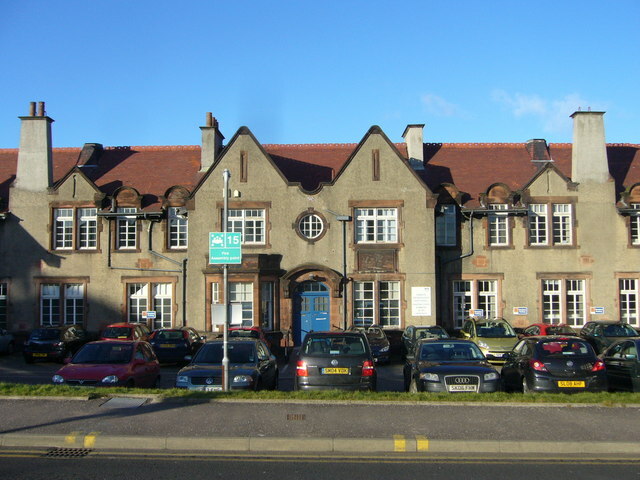 …that from 1941 the Sisters’ Quarters of the Western General Hospital in Edinburgh became the ‘Paderewski Hospital’ with 120 beds for Polish soldiers and civilians. The building, known after the war as the ‘Paderewski Building’, was demolished to make way for a new hospital block in 2013. …that during the Second World War the Poles formed the fourth largest contingent among the Allied forces after the USSR, the USA and Great Britain? And that the 1st Polish Armoured Division was the largest armoured formation among the Western Allies? …that the Polish signals officer Józef S Kosacki, stationed in Dundee, developed the ‘Mine Detector (Polish) Mk 1’, of which the first 500 were used by the British Army with great success at the Battle of El Alamein in July 1942? The 30lb prototypes were tested on the West Sands at St. Andrews. The detector proved to be a vital piece of military equipment and a refined version was still being used by the British Army up until the Gulf War in 1991. After the war Kozacki returned to Poland and became a professor at the Military Academy in Warsaw. He died in 1990 aged 81. 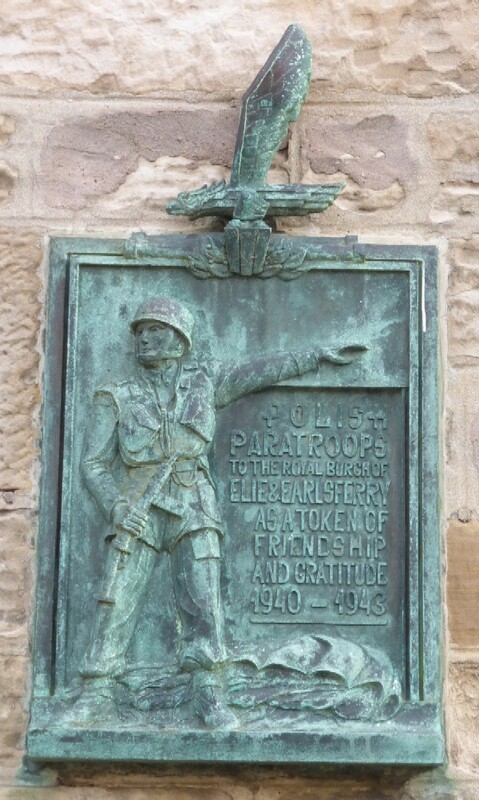 …that the 1st (Polish) Independent Parachute Brigade, which fought in the Battle of Arnhem in 1944, was trained mainly in the grounds of Largo House near Upper Largo in Fife? 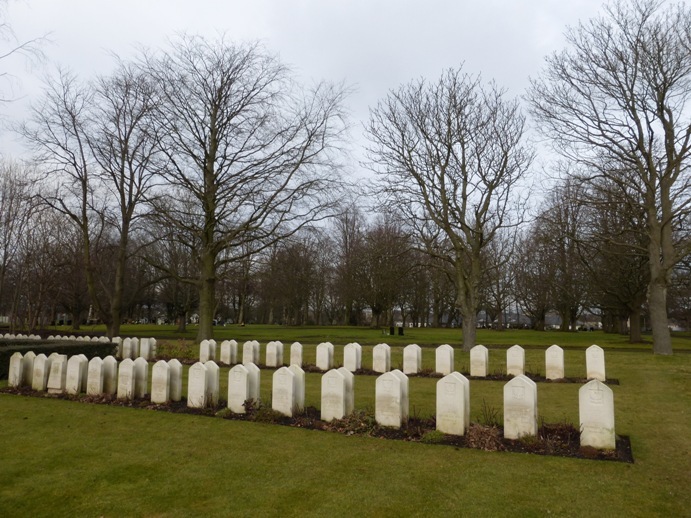 …that many Polish war veterans lie buried at various locations across Scotland. 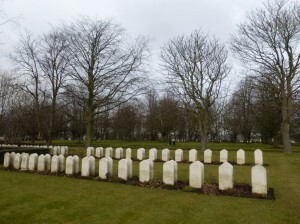 Pictured here are some of the 175 Polish war graves at Corstorphine Hill Cemetery, Edinburgh. 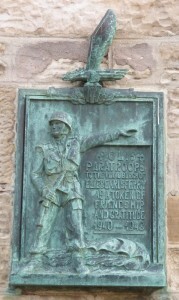 …that a time capsule of documents relating to the Polish Army in Scotland was buried beneath the memorial to Polish soldiers outside Peebles Hospital in 1997, with the request that it should not be opened until 100 years later.